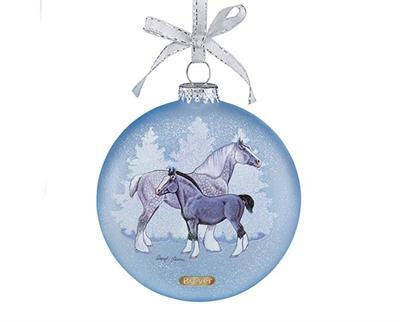 Majestic in nature and always a joy to behold, draft horses take center stage on this year's Artist Signature Ornament. 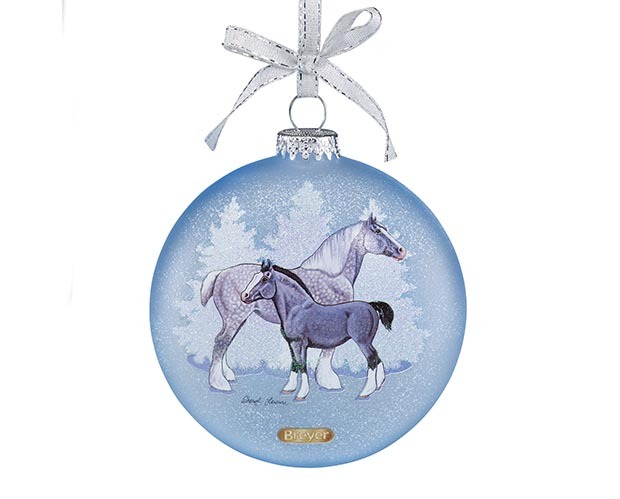 Inspired by Breyer models, artist Sheryl Leisure created two paintings for the double-sided frosted glass ornament: a bay Clydesdale, and a grey Shire mare and foal. Most orders ship in 1-2 business days! The snow globe's base is adorned with a serene nighttime woodland scene, complete with a stag surveying his domain. This Musical Snow Globe plays "Deck the Halls." Under a blanket of glittering snowflakes, Breyer's newest Carousel Ornament is poised to soar through the crisp winter air! Flurry's pale palomino coat is complemented by a golden saddle and bridle, which rest upon a decorative blanket. This beautiful hand-blown glass ornament features the eye-catching artwork of Kristina Lucas Francis. 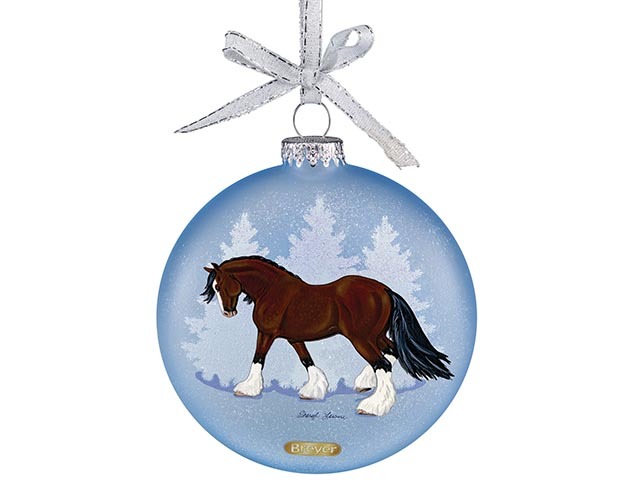 The vivid paintings of mustangs which grace the goldenrod-colored glass ornament are inspired by original Breyer sculptures! A Elvis Presley collectible ornament. Children will love collecting all 12 mini Wind Dancers! And each purchase is a new adventure because every bag is a surprise! Each blind bag contains one cute mini Wand Dancer with detachable wings and its sticker! Begin a new holiday tradition with your family. Our complete Magic Kit includes everything you need to give your family a fun and white Christmas: container of Santa's Magic Snow, Hardcover storybook by Christopher Scott, and Bootprint Stencil.